Join us on the journey to get our message to the world! Whether you're growing a company or a personal brand, every single day is a process to build your online authority. 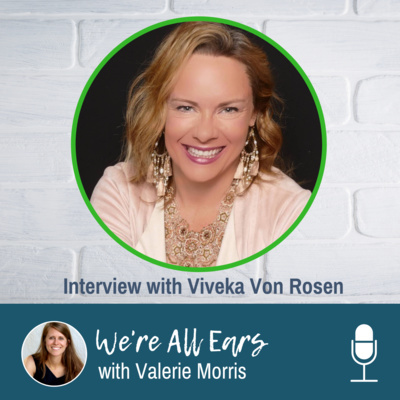 Each episode we discuss proven strategies to grow your brand online with insights from Valerie Morris and expert guests. 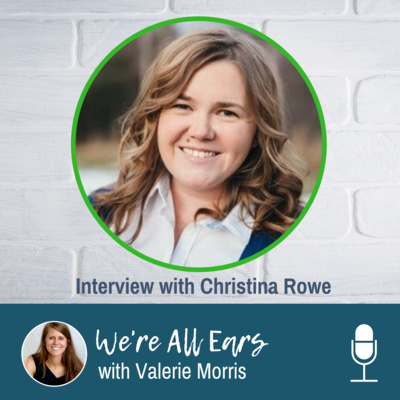 Build a Culture of Abundance & Confidence Christina Rowe is the founder of The Collaborative Team. She provides leadership and team development for small to medium businesses through a positive strengths based approach of coaching. 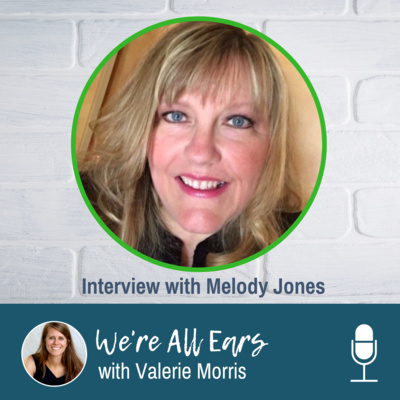 She is an expert in helping people understand how to improve their group dynamics. 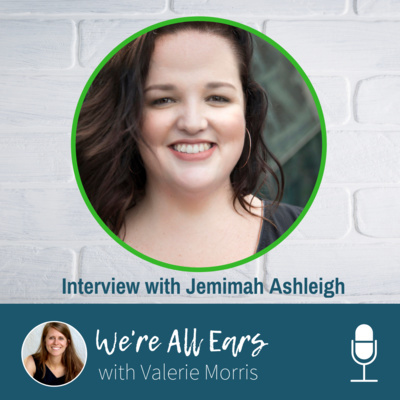 She shares many of her insights on group dynamics and tribe building in our conversation today! Key Takeaways From Our Discussion: In order to get to high functioning trust in a group, you must first start with understanding people’s strengths and their values. Foster a culture of abundance, rather than scarcity, creates a more successful trust being built naturally rather than competition. Giving first matters even more in situations where there is a traditional hierarchy of team roles. Don’t be afraid of being surpassed. Set others up for success. You never know when that is going to have a boomerang effect on you. Slow down and listen to what people need information on. Pay attention to how people are experiencing their projects and goals. Be mindful and thoughtful in how you approach it. Let people feel heard and understood. Slow down and find out what people actually need. “We live in a culture that is afraid to pause. Sometimes people just need the moment to be heard.” “Avoidance rarely solves anything.” “My biggest regret as an entrepreneur is not playing my “newbie card” more when I was just starting out.” Ask people where they see your content or pay attention to it most. Ask them during face to face conversations! Leverage any speaking engagement you have on social media! People are paying attention to these posts, and often they are people you least expect! Recommended Links: The Collaborative Team If you liked this podcast, please leave a review on iTunes! Click HERE to discover the iTunes page. If you found value in this episode, help a friend out and share this episode on Social Media. Building & Growing Community Through Women of Denver One of the secrets to success is surrounding yourself with people who are moving in the same direction. Krystal Covington understands that full well as she has built up a successful women's professional group in Denver. In the process, she's seen herself change and grow as well. Can't wait to share with your our discussion! Who is Krystal Covington? Krystal is a visionary leader based in Denver, Colorado. After moving to Denver, she formed Women of Denver, a professional networking group for women from all walks of life. Krystal is a PR expert and has grown a great personal brand as well. 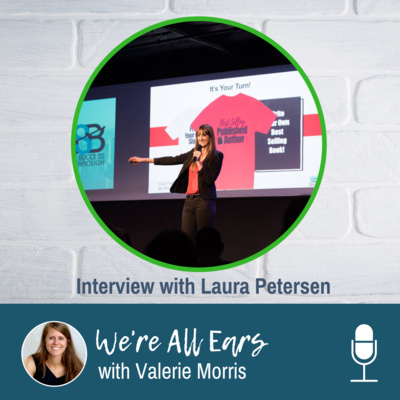 She has a lot of great insights to share about building a tribe and growing community. What Did We Chat About? How people can grow using a group like Women of Denver Tips for personal branding Golden Nuggets From Our Conversation: People are looking for a place where they can find people like themselves. People want to develop and grow. The deepest connections happen in person, but if you're active and intentional you can nurture relationships on social media. Use personal messages to deepen relationships. Branding is about being visible on a regular basis and to a growing number of people. That could be live in-person conversations or a discussion on an online group. Share your expertise and tag others to help grow your reach. Building your own platform allows you instant leadership and visibility. Many doors open by organizing and building your own network - even if most of the events are not featuring you. "Great opportunities come from creating community." Consistency is key to building influence. It takes time to truly build a strong and powerful brand that gets you the results you want. Consistency ultimately means continuous visibility. 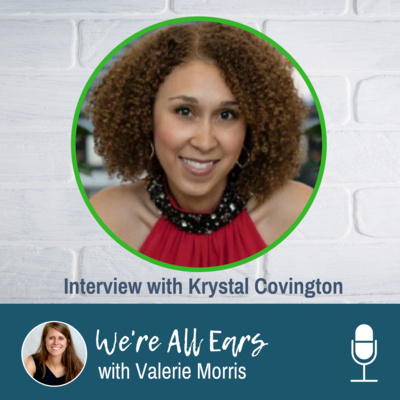 Recommended Links: KrystalCovington.com Women of Denver If you liked this podcast, please leave a review on iTunes! Click HEREto discover the iTunes page. If you found value in this episode, help a friend out and share this episode on Social Media. 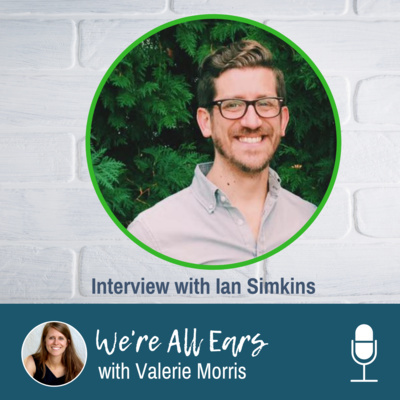 I had the distinct honor of sitting down with my friend, Ian Simkins and talking about sharing your message to the masses. Ian doesn’t realize it, but he’s influencing people every single day to change the way they think or the way they think about their beliefs. 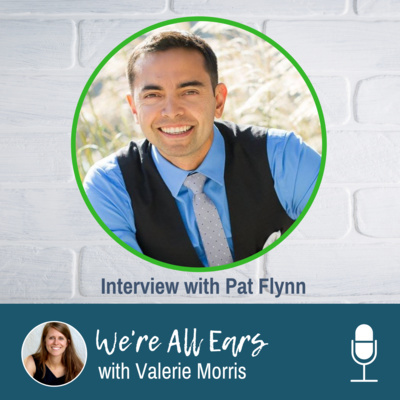 I LOVED chatting with him and hearing right from him about his journey to sharing a message with the world that he cares about deeply. Golden Nuggets From Our Conversation: How do we find beauty in commonly shared spaces? Instead of trying to convince people, we’re inviting. “Beauty isn’t about convincing; it’s about inviting.” The early church involved five main components: Word, Meal, Time, Song, Prayer. Beauty in the Common invites people to write narratives that follow these same five components. They have people from all types of Christian backgrounds contributing to this project. When was the last time you truly pondered beauty? “We try to hard to commodify beauty, but it’s the one thing that can’t be commodified. Beauty doesn’t make real sense, but when we see it, it changes people.” The team for Beauty in the Common has pushed for the idea to move forward. The team helps him dream bigger and what the next phase could be. “Talking about things that push the limit is really a dance.” Confirmation bias is such a strong influence of our opinions. Be careful of this on social media because the algorithms will. “World views are like glasses. I don’t think about the fact that I’m looking through a lens most of the time, but we are all looking through a lens. It’s not until the lens fogs up, do I notice it and think about what I’m looking through.” Jesus had so many opportunities to say something directly, but instead he told stories. If we were to take our cues from him, we would do well to get imaginative about how we engage. Build relational equity with people with thoughtful questions, engagement, grace, and kindness. “I’m perpetually open to the possibility that I am way wrong.” I believe that other people may be very right. I try to post things as questions. “Is it possible that…” “Could we consider that…?” “Has anyone thought about…?” How do you deal with criticism: Play drums, go for a run, and physically process criticism. See the humanity of the person criticizing first before their comment. Social media allows us a space where we can take a big deep breath in and a big breath out before you respond. Find mentors who are 20-30 years ahead of you in life. They can help provide you great perspective. How can we listen well? 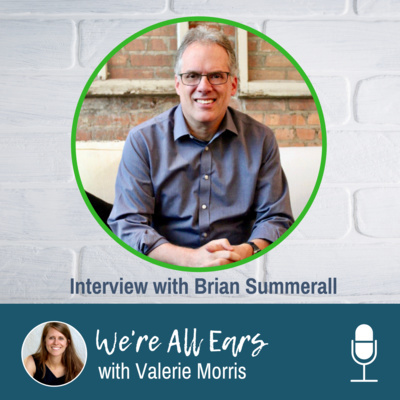 “We need to listen to understand, not to respond.” At the core, when we fail to really listen to people, it’s coming from a belief that what we have to say is more important than the other person. Be ready to be surprised by people! Pay attention because you might be surprised. “Creativity and wisdom doesn’t follow a chain of command.” Be endlessly curious about people. Look for the unique narrative in each human being. Every human being is made in the Imago Dei – what can be more interesting to discover than that?! Don’t be a one-dimensional character online. People can sniff out if you aren’t being real and only sharing about one thing all the time. Share about your real life instead so that people can see the full picture of who you are. “People resonate with humanity and people who are being themselves.” Church See the full show notes HERE. 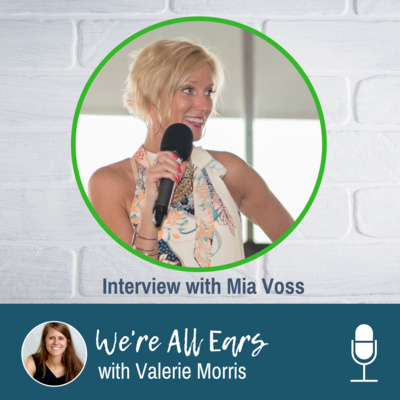 Mia Voss is an expert social storyteller, brand ambassador, and travel blogger through Mia Voss On The Go. The common denominator is that storytelling is consistent and vital in all of these ventures. Mia has found her target audience and has built an amazing audience to join her on the journey. Join us as Mia shares her insider tips on sharing digital stories as a travel blogger and brand ambassador. How to make your LinkedIn profile photo work for you. Here are a few tips you can do today. Twitter Lists will help you make major strides and impact on Twitter without going crazy and spending all day on Twitter. How to increase your engagement on social media with a few simple steps. Do's and Don't's of a good LinkedIn profile photo. Join the discussion! How does your digital presence and website work for you 24/7? Join us as we discuss this important topic. Wondering what to do with the Story feature on Instagram and Facebook? Is it worth your time? Join us as we chat through how you can use these new tools. Are you ready to run Facebook Ads? Marketers keep telling us we need to be doing them, but you may not be quite ready. Here's what you need to think through. Video has become my favorite tool in social media strategy and for a slightly different reason than most. 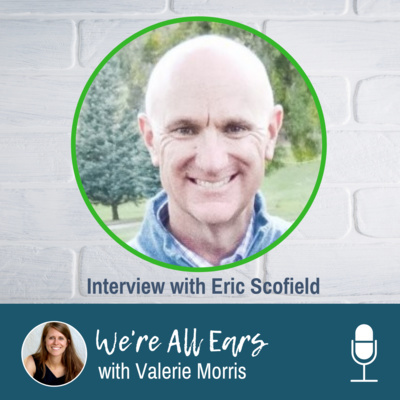 We talk about keywords a lot for Google Adwords, but did you ever consider that your keyword lists should be at the foundation of every part of your marketing strategy? Join us today as we chat through how to incorporate them. Want to work smarter and not harder? Is that a trick question? Of course, we all want to work smarter and batching your work is one way you can work efficiently with your content marketing and social media strategy. Wondering how you can use your personal Facebook profile more strategically? Listen as we dive into how you can use Friends Lists to maximize your time and exposure. 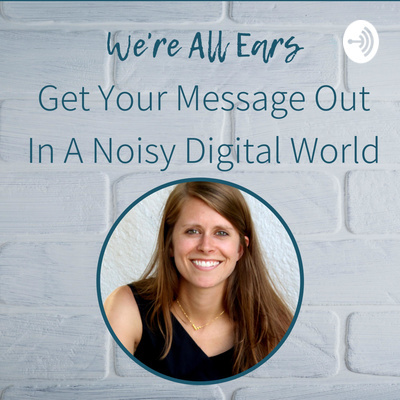 We all fall into the fallacy that our work needs to be perfect, and so when it comes to social media, the right time to start getting your message out to the world is today.